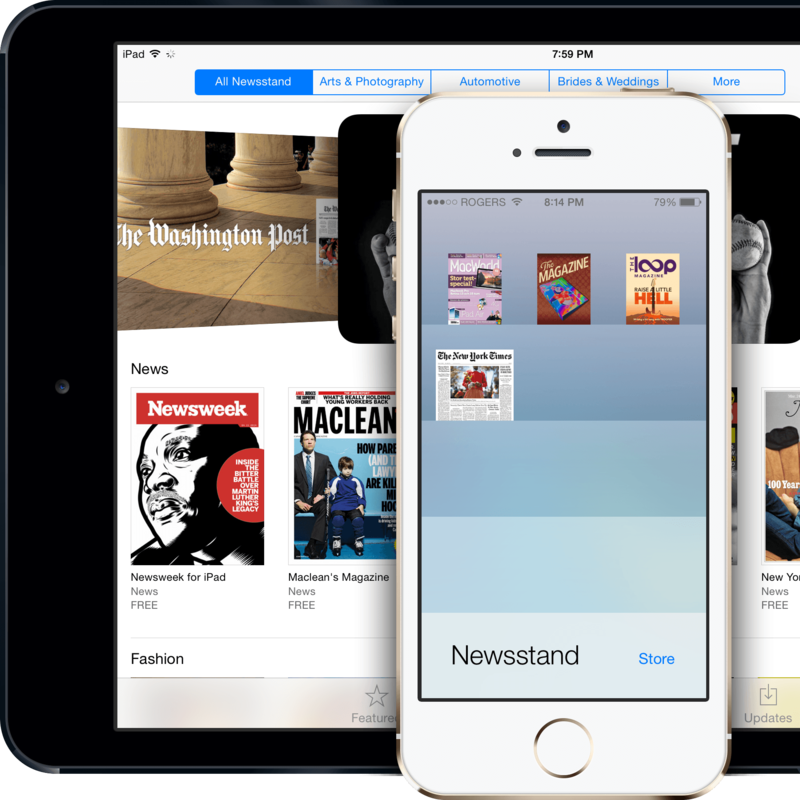 Newssstand is a special folder, introduced with iOS 5, that collects, keeps, and updates all the subscription-based magazine, newspaper, and periodical content available in the App Store. Newsstand also provides quick and easy access to the Newsstand section of the App Store, and allows for background downloads so, when you open the app, the latest issue can be there waiting for you. With iOS 7, Newsstand lost the ability to show the periodicals inside its folder, getting a static, more app-like icon instead, but gained the ability to be hidden away inside other folders. Since non-Newsstand apps also gained background update abilities, the value of Newsstand, and Newsstand apps, has come into questions. Looking to get started with News+, Apple's new subscription news service? Here's all the ins and outs of getting the most out of it! Apple News+, the company's magazine subscription service, has arrived. Here's how you get signed up. Want to check out the News app, but not in a supported country? Try this! Currently, Apple News is officially only available in the U.S., U.K., Canada, and Australia. Luckily, if you want to try it out internationally, there's a way to do it. Apple's News app is getting a few new things – including an all-new design and Mac interface! Share what matters most to you — from Apple News, anyway — in every way the iPhone and iPad allow. Why don't content blockers — AKA ad blockers — work in Apple News? Here's the deal! Apple News has just launched a new section dedicated to covering the upcoming 2018 U.S. midterm elections. Apple News Publisher is the official tool for publishing content to Apple News. Here’s what you need to know. Following Apple's acquisition of Texture, the all-you-can-read magazine service, the company is expected to integrate the subscription model into Apple News within the next year. watchOS 4 gives you the latest news in an extra-compact interface. Here's how to read the news on your Apple Watch, mute notifications, and change which channels you see. Apple has apparently selected its first editor-in-chief for Apple News with New York Magazine's Lauren Kern.